Autograph letter signed by a prisoner in the Auschwitz concentration camp, with a postmark from Auschwitz. In the brief letter in German, a man writes home, telling the recipient that he is healthy. 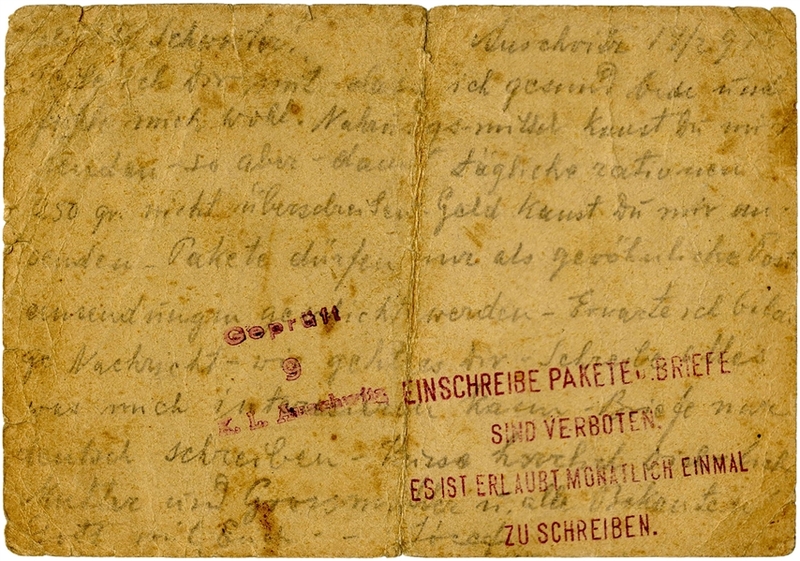 On the front of the postcard, the rules of the camp are printed in German, restricting how often the prisoners can receive letters and how long they can be. In part, ''Concentration Camp Auschwitz...The letters to the prisoners must be legibly written in ink and may contain only two pages, each 15 lines...Packages can not be sent, as everything can be bought in the camp...Dismissal applications to the camp management are futile. / Visitor's permits and visits to detention centers in the concentration camp are not permitted in principle. / The Camp Commander''. 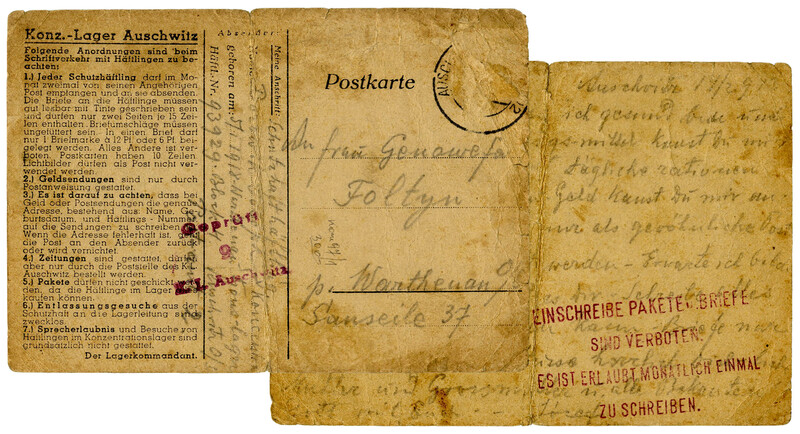 Two red stamps on the postcard seem to be from a censor reading ''Checked / 9 / K.L. 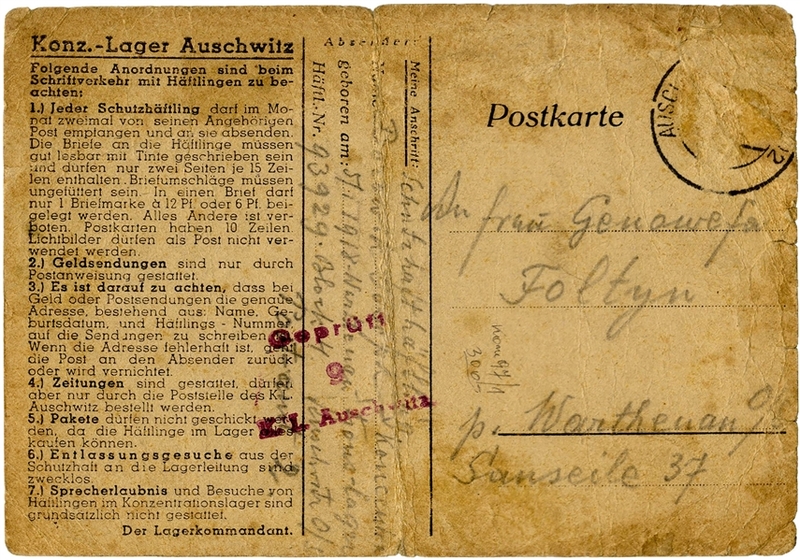 [Concentration Camp] Auschwitz'' and another red stamp prohibits more than one letter a month. Letter in pencil measures 6'' x 4''. Moderate wear and staining, overall good condition.